iBeacon is a wireless technology to measure proximity, not location. Unlike GPS, it doesn't answer the question "where am I?" 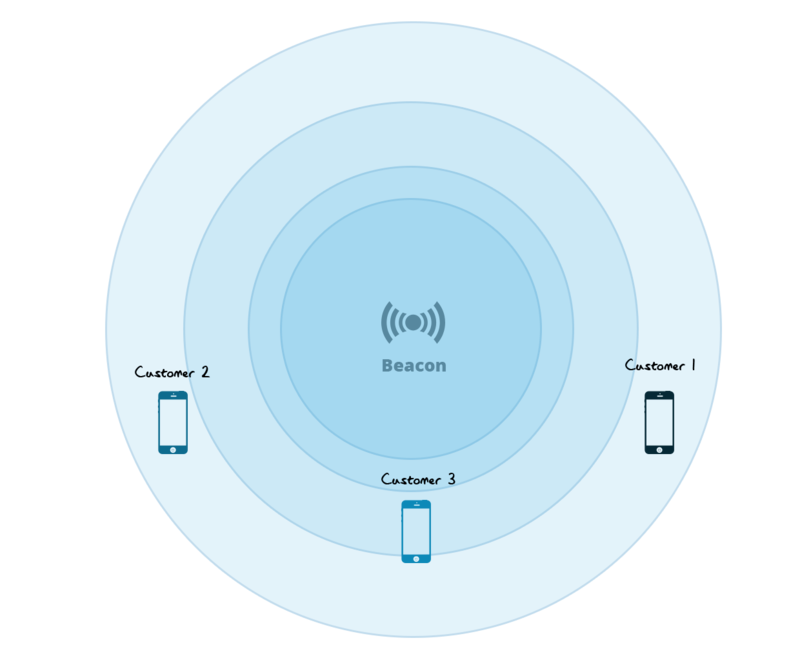 Beacon simply uses signal strength between the device and the receiver to measure proximity, iBeacon functions as an indoor positioning system, that allows businesses to advertise their presence to nearby smartphones. With iBeacons set up, businesses can send messages to potential customers (such as special offers or goods) when they walk past an iBeacon. iBeacon is Apple's technology standard, which allows Mobile Apps (running on both iOS and Android devices). So iBeacon is a specification (program) while beacon is effectively a cheap, small Bluetooth transmitter. The hardware is just a beacon, and the specification it conforms to is iBeacon. At Stepin we offer all kind of development support for iBeacon. If you wish to encompass this revolutionary technology in your business, then we would be more than delighted to assist you by developing the iBeacon enabled apps for your business model. So, if you want to take a step closer to innovation through iBeacon, then you could unhesitatingly drop us a line.